Did you know that millions of Americans fear the dentist enough to avoid the treatment that they need altogether? If you have dental anxiety or fear, you’re not alone. Thankfully, there’s a solution that keeps you relaxed and comfortable in the dentist’s chair: sedation dentistry in Chaska. 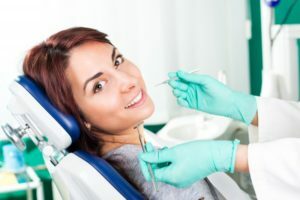 Learn how sedation can help you overcome your dental fear to keep your oral health in good shape. Why is Seeing the Dentist Important? If you have dental anxiety or fear, you’re probably no stranger to pushing back or even avoiding a routine dentist’s appointment. You may think, “What’s the big deal? It’s just one appointment.” However, routine checkups with your dentist are the best way to prevent and detect serious dental issues. These problems will cause you more anxiety and fear, plus, they’ll lead to more time and money spent at the dentist’s office. In addition to a careful examination to prevent serious issues from occurring, your dental hygienist will clean your teeth to get rid of plaque and tartar. These cause dental problems like tooth decay and gum disease, which can eventually affect your overall health if left untreated. How Can I Get Over My Dental Anxiety? Because even those who suffer from fear or anxiety still need dental care, your dentist now offers a way to keep you cool, calm, and collected during your appointment. Dental Sedation in Chaska uses nitrous oxide sedation, also known as laughing gas, to make dentistry easy for anyone. With this method of sedation, you’ll wear a mask that fits over your nose, which administers nitrous oxide to provide a calming and relaxing sensation. It will automatically make you feel comfortable and give you a happy feeling. The best part is that the affects wear off quickly, so there’s no time you have to recover after the procedure is complete. You can simply go about your day knowing that you got the oral healthcare that you need, without the fear that it typically brings. So, if you have a busy schedule, you can go back to work, school, or taking care of your kids without worrying about recovery. Does it sound like sedation dentistry is right for you? Who knew that even those with dental anxiety could laugh in the dentist’s chair? Talk to your dentist to get started on your calming and comfortable dental care. Dr. Stapleton is a native Minnesotan who has a passion for caring for his patients. He understands that dental fear is a real problem that can affect your oral health, which is why he offers sedation dentistry. He currently practices at White Oak Dental, and he can be contacted through his website or by phone at (952) 448-2868 for any questions.